So I did a lot of researching, and I’ve found a framework that appears to be fairly industrial strength. By this I mean that it is fairly well documented, provides examples, and has internal support for testing and automatic documentation generation. I’m going to be merging JMVC into my existing WordPress installation. It appears that I’ll need to deal with the jQuery.noconflict issue which I plan on doing by redefining “var $ = jQuery;”. I’ll then be embedding the JMVC steal.js code using my custom child template (in functions.php). This is really exciting. I’ll post more as I go. If anyone else has tried this before, please leave me a comment. 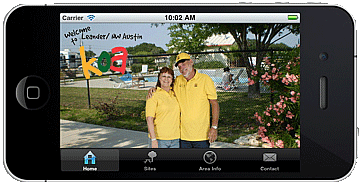 I’ve completed the KOA iPhone app. I will be finishing testing and submit to the App Store by the end of the week. Now I am going to create a matching website that will provide the same functionality for those poor souls that do not own an iPhone. From my experience, about 90% of all KOA campers have computers. We currently hand out a local attraction pamphlet which lists local restaurants, stores, and services. But the space on the pamphlet is limited. Providing a website/iPhone app allows providing dynamic searching and sorting, allowing a larger list to be provided. One really cool thing about the iPhone for this sort of application is the built-in location services (GPS). Not only can I provide a list of items sorted alphabetically or by location, but I can sort the list dynamically based on the users current location, not just the distance from the KOA. The RSS supported built into WordPress makes it easy to write a post in one place and have it appear in other places like FaceBook and Twitter. FaceBook automatically generates multiple RSS feeds based on categories and/or tags, so you can get as fancy with this as you want. For example, you can create a tag “FaceBook” and then have only those posts tagged “FaceBook” appear on your FaceBook. To enable your WordPress posts to appear in you FaceBook stream, simply configure Account -> Application Settings -> Notes and select “Import my blog” on facebook and point it to your WordPress blog URL. If you just list the blog URL you will get all posts. Alternatively you can use the URL to a specific category or tag. To keep the size of the post fed to FaceBook reasonable, set your WordPress reading settings “For each article in a feed, show:” to “Summary”. Ensure that your header image size is 940 x 198 pixels. I’m going to show you how to do option 3: change the Twenty Ten theme header image size. “Creating a child theme is the way of the future” (I think that Yoda said that, but I’m not sure). // and twentyten_header_image_height to change these values. 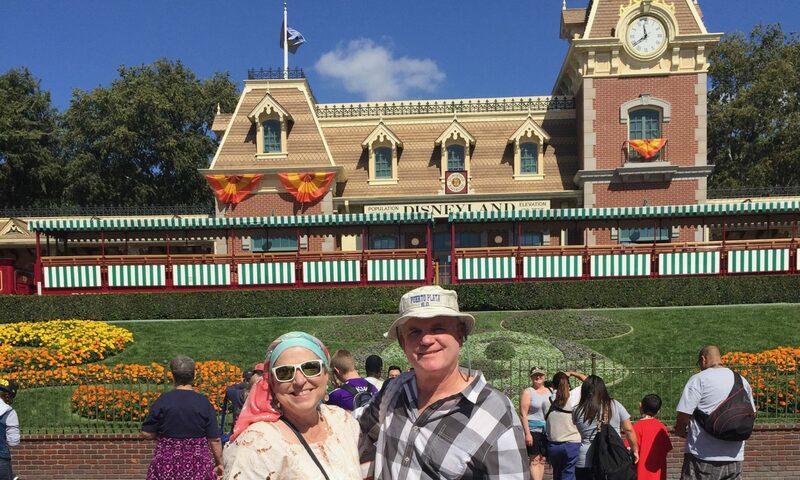 You can define filters named “twentyten_header_image_width” and “twentyten_header_image_height” which will override the default values of 940 and/or 198. In this case I am ignoring the default sizes that are passed into the filter and simply setting them to the values that I want (900×300). Be sure to change the prefix ‘my_’ to something more appropriate and unique to your child theme to avoid possible naming conflicts. That’s all it takes! Use the Appearance -> Header control panel to upload a new header image now. The control panel should now display the size that you set with these filters, and the new size reflected on the website. Now having said that, I subsequently decided that I want different sizes and layouts for the front and other pages, so I ultimately modified the header.php file. Don’t judge me. WordPress 3.0 RC3 was released yesterday. Once of the very cool new features being added to WordPress 3.0 is support for child themes. This capability will allow a web developer to create a new theme by overriding the settings of an existing (or parent) theme. Combined with the new Twenty Ten default theme, this is going to make the creation of WordPress themes easier and less error-prone. The new Twenty Ten theme contains a lot of comments explaining how to derive a new theme from it. This blog is using a new theme created this way. I’ll explain how each of the changes is made as I go along. Note to Safari users: the new develop menu in 5.0 allows you to use Safari for web development in a manner similar to that previously requiring Firefox. Check it out. The past few weeks I’ve been studying and working with WordPress and Joomla! I’ve brought up our church and band websites on the latest WordPress, and am somewhat unhappy with the user experience that is presented to other authors (eg. my wife). This prompted me to take a look at Joomla! Lynda.com provides a tutorial on it, so I went through it. There is a steeper learning curve on Joomla! but it appears to be much better suited to supporting multiple, less skilled authors. There doesn’t appear to be as much information available (yet) on how to create and modify templates and plugins, but I’m diving in anyways. I going to convert my BuildAChurchWebsite website to Joomla! and see how that works. I’ve been working on revamping the church’s website. I’ve been doing a lot of searching and reading. I must say that I’m pretty shocked at how expensive a lot of the church solutions are. Understand that my church is operating on a shoe string budget, so any recurring expenses need to be small. On the other hand, I’m also very pleased to see the work that some folks have done in this regard. There are several pretty good sites that are advocate using WordPress to create maintainable church websites. It’s been awhile since I’ve dug under the covers of WordPress, but I’ve got the itch to do so again. I’m going to launch a new site targetting the use of WordPress for church websites. Since I’m in the midst of updating my own church’s website using WordPress, this will be a good place to post my own themes and plugins, provide suggestions, and link to other good church related sites. Utilize my web programming skills in order to extend our band site. Brush up my Cocoa skills and get involved in iPhone development. I’ve been playing with our church’s band website for several years, and it occurs to me that this might be something that I could extend to allow other churches or music related organizations to use. I think that some of the key features are the ability to create lead sheets, reuse them in lineups, and transpose them. The ability to strip out the chords for use by singers is also very useful. I had originally implemented this as a WordPress plugin, but then converted it to a Zend Framework based custom application, eventually adding Dojo support. I’m thinking about moving it back into WordPress. iPhone development has always appeared very appealing also. I’ve recently started refreshing my Mac Cocoa programming skills, and these are exactly the same skills needed for iPhone development. Earlier this week I had joined the iPhone development program. I have some ideas about a simple application to use with my drumming. My primary motivation for doing this though is to work on an iPhone application which would access the band site to display the current week’s lineup and allow playing the MP3s. I plan on using my C# skills to create similar applications for the PC in addition to a Mac Cocoa application which would use the same web service for listing the current week’s lineup using a PC or a Mac.